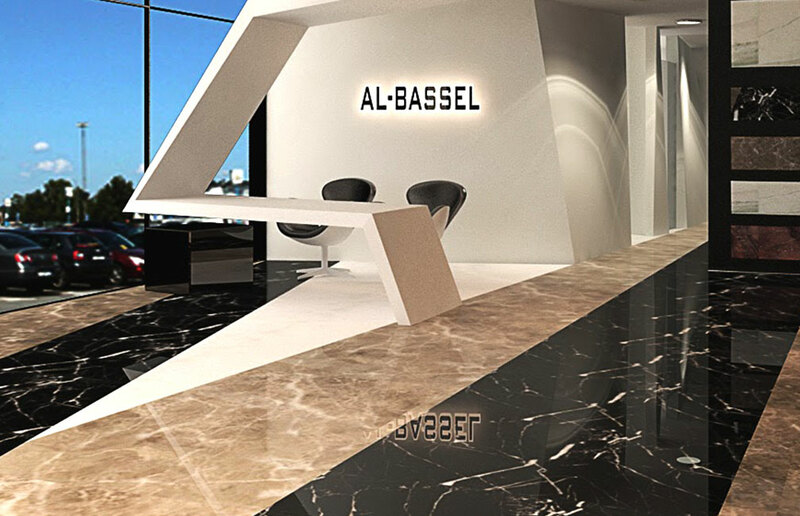 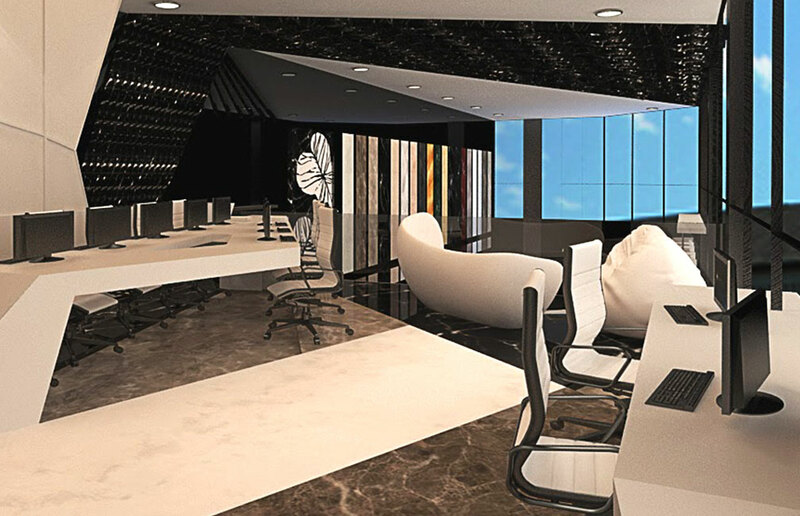 AL Bassel Showroom is one of the most prestigious marble showrooms in Kuwait. 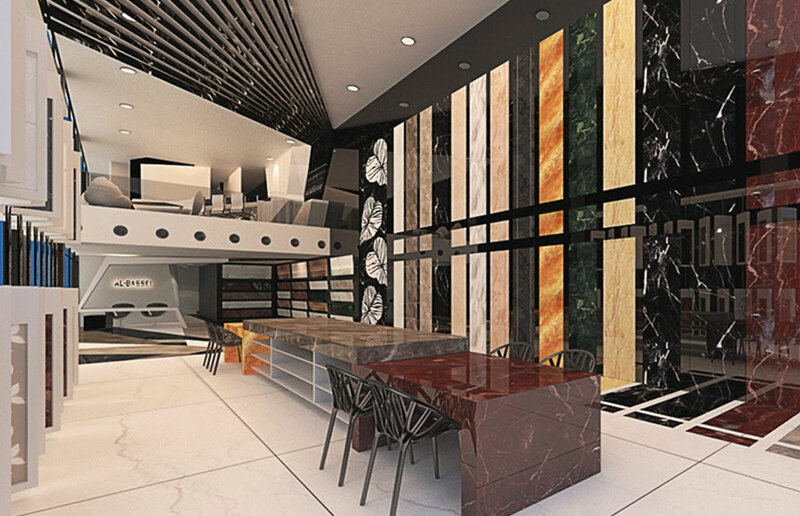 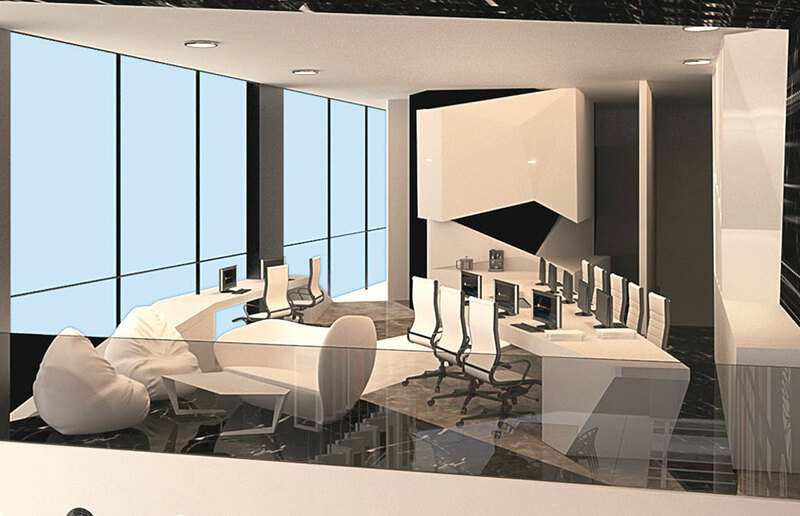 As the client specialize in high end marble sourcing, manufacturing and installation. 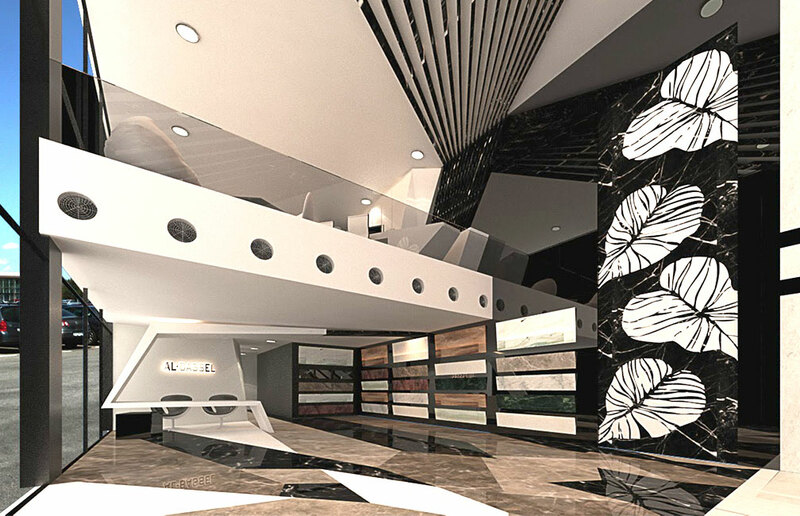 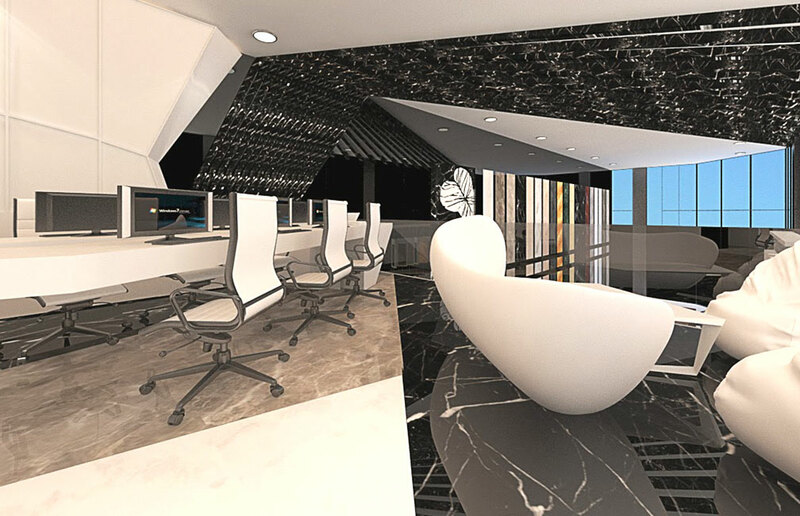 Inspired by their excellence, we challenged the design to make sure that the design and fabrication of our proposal takes the marble and furniture design to a whole new level. 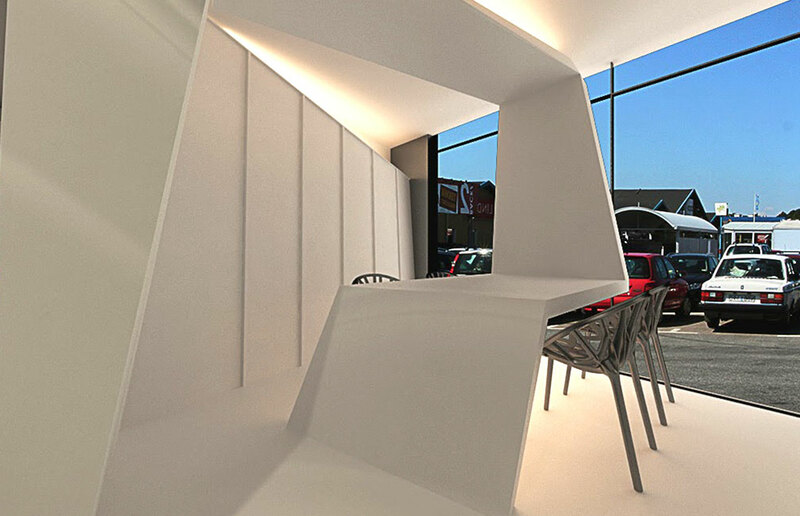 The whole design follows through a set of rays that reflects across the whole spaces, proceeding from floor pattern to inclined walls, and broken cupboards. 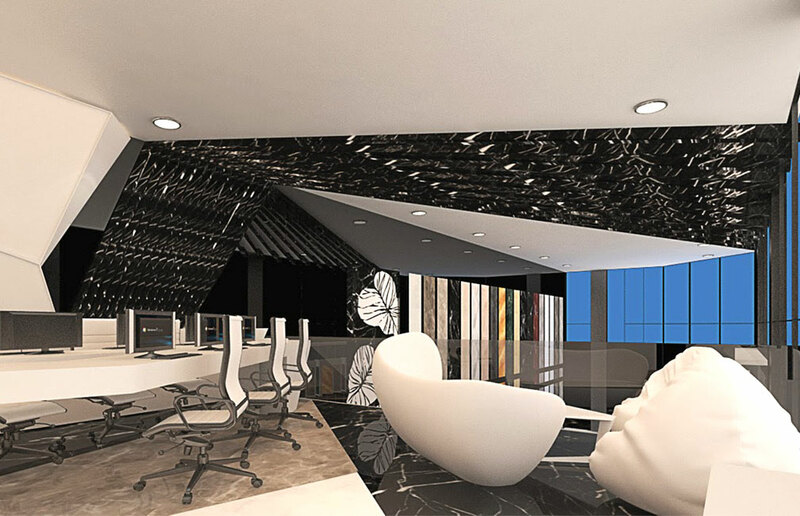 The major item of design is the display area of marble, though we have design a forest of columns that hangs from the roof to create an informal manoeuvre around the show pieces.